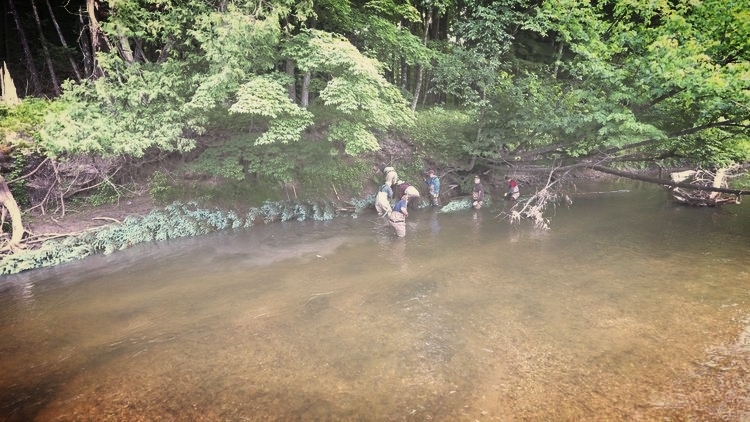 Each year the RRRC completes a cleanup event on the Rifle River. Partnering with local governments, canoe liveries, area businesses and volunteers, the RRRC cleans up canoe-loads of garbage out of the Rifle River. The RRRC looks for areas along the Rifle River that are suffering from erosion and will help to restore the riverbank to reduce sediments in the river, which improve water quality in the river. We're currently looking for property owners along the river interested in partnering with us to do tree-revetment project(s) in the fall of 2018. 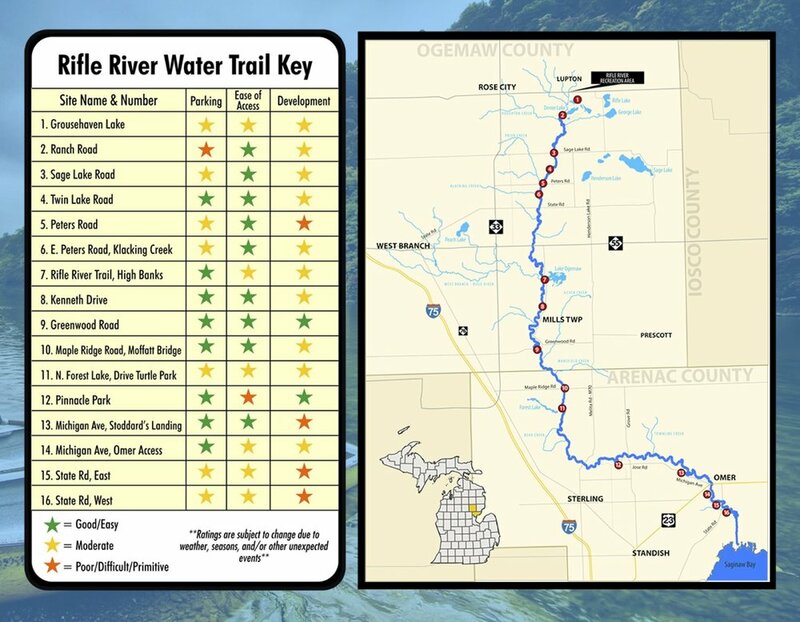 This river access map is from a printed pamphlet that was created by the RRRC and is available at various locations within the Rifle River Watershed. The guide shows the locations of public access points along the Rifle River. 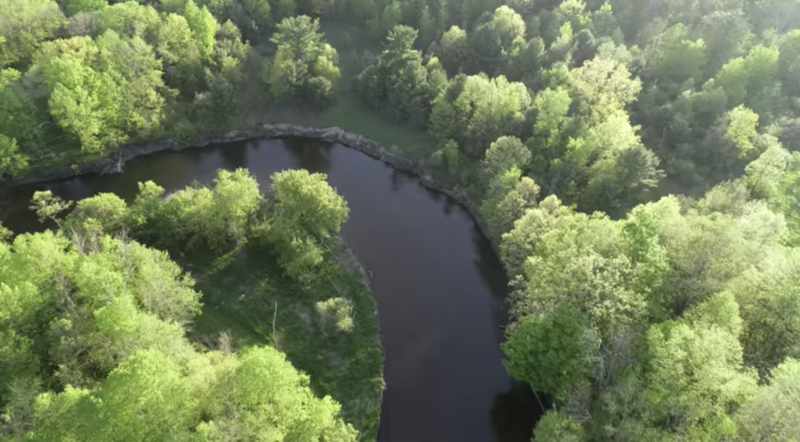 The RRRC is helping organizations such as the Arenac Conservation District, Scouts of America BSA, and local canoe liveries w/ aerial flyover video-surveys of the Rifle River, providing valuable information on river obstructions, stream bank erosion identification and general river conditions.